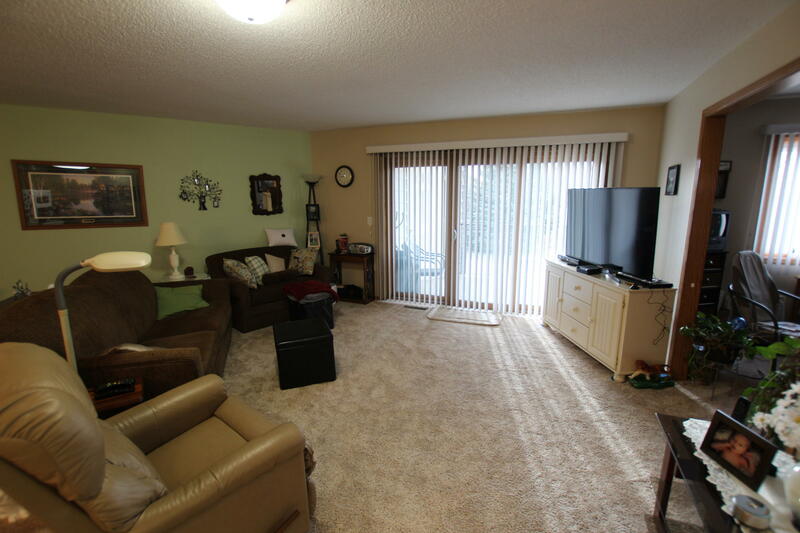 Welcome to this large, well maintained, updated condo! Newer counter tops, sink & faucet in the kitchen, cabinets have been refaced, newer appliances, and counter tops in the bathroom, and all windows are new, including the patio! The patio is covered and faces southwest. The master bedroom has double closets (mirrored) and a 3/4 bathroom. Hallway is wide, and the home is all around spacious. Double garage and private storage closet round up the homes features. The building is secure and 55+. © 2019 Bismarck Mandan Board of Realtors. All rights reserved. Information deemed to be reliable but not guaranteed. The data relating to real estate for sale on this website comes from Bismarck Mandan Board of Realtors and the Broker Reciprocity Program.sm. Real estate listings held by brokerage firms other than Dakota Carol are marked with the BR logo and detailed information about them includes the name of the listing brokers. Listing broker has attempted to offer accurate data, but buyers are advised to confirm all items. Information last updated on 2019-04-23.